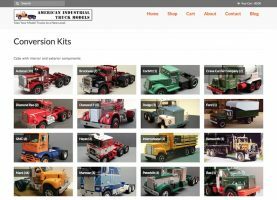 Along with the updated visual design we added some functionality which makes it easier to find your favorite truck brands and model truck parts. The “Shop” page is broken down into categories that display product photos to help you navigate through the hundreds of conversion kits and parts that we offer. If you want to find something even faster, there is a grey search bar at the top of each page which allows a user to search the entire website by keyword. 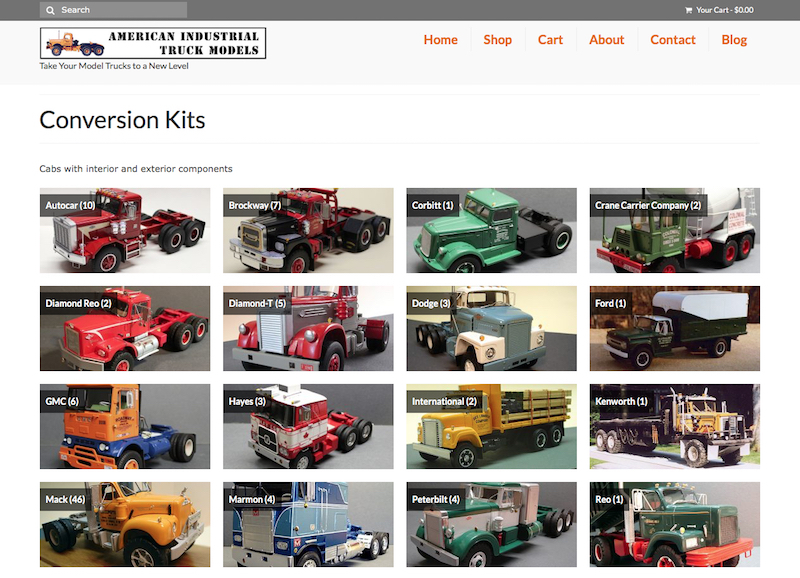 You can search for your favorite truck brand or model truck parts by typing in keywords like “Mack”, “GMC”, “Autocar”, “fuel tanks”, “wheels & tires” or “sleep box”. Give it a try! 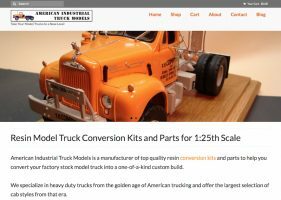 We added a “Blog” to the website which will feature new product releases, modeling tips, how-to articles and other helpful information related to model trucking. You can also sign up for our mailing list so you can be the first to know about new releases, specials and events. Another useful feature is the “My Account” page where you can login to view your recent orders as well as manage your shipping and billing addresses. The best part is that when you return to place another order you won’t have to re-enter all your information making future check-outs fast and easy. This new website was a major project and we hope you agree it was well worth the wait. We welcome any feedback so if you have questions or experience any issues, please send us a message using our contact page. Also, don’t forget to follow us on Facebook to keep up with the latest happenings at AITM.